Last week, I gave a talk for the MA Material Futures at Central St Martins, London. I gave a talk for them a few years ago and it was a real pleasure to return. Here's my manuscript from the talk. Opening at the National Football Museum this week is a new exhibition I was involved with producing, through my relationship with the museum's artistic director, John O'Shea. I have worked with John for many years now and he has done amazing work in bioart and new media art. He has brought together an extraordinary exhibition of the last 40 years of football computer games to show how much gaming has evolved and how close art and life now come together. The exhibition is on until June, so plenty of time to see it. It's worth spending a whole day at least, just to experience the different kinds of game interfaces and appreciate how they have changed over the years. AND festival went to Grizedale forest this year, a return after 5 years. We delivered a number of drone activities over the weekend, including a networking event for drone enthusiasts and some flying experiences for beginners and experts. We were incredibly lucky with the weather and had some great people come along and learn. A couple of weeks ago, I attended #SheffDocFest invited by The Wellcome Trust through their curator of the Ideas and Science stream Erinma Ochu. It was a fantastic experience, which came at just the right time for me, as I embark onto more documentary film making with colleagues in Salford. One of the main appeals for being at Salford was to work with environmental and life scientists, whose reseaerch is with non-human species. By working with them, I hope to enrich my theories around posthumanism and biotechnological change. 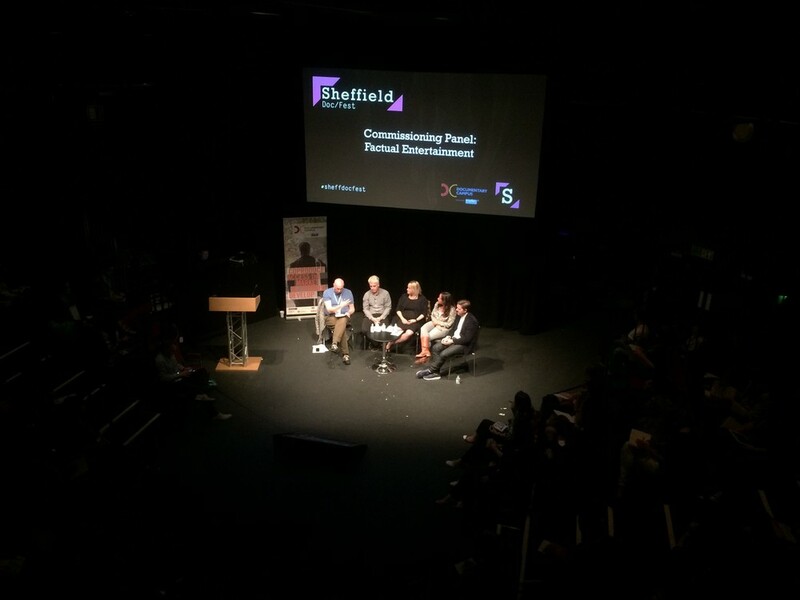 However, the element of the #SheffDocFest that was most helpful to me was around the overlap between journalism and the art of documentary. Some argue that journalism has lost its capacity for in-depth investigative work and that the art of documentary making is providing a space for more creative, groundbreaking journalism to emerge. The few pieces I saw in Sheffield really hit home these possibilities. The first film I saw was The Nine Muses, which was a lovely way of being exposed to artistic film making, which could be underpinned by a scientific narrative. Next, I hopped over to a panel debate called Final Frontiers 101, which had the amazing Robin Ince with Alice Bell and David Kirby from Manchester. It was part of the Wellcome programme and focused on a discussion about how science and film makers work together to develop stories that are factually accurate, but also entertaining. Next up was a mock commissioning session, whereby a panel sat through a process of imagining how a work gets commissioned, covering the stages of production from idea to screening. It was a great insight into the commissioning process, the range of people involved, the financial negotiations around release territories, and the sheer fragility of the whole process! After this, I had a chance to pop into one of the commissioning panels, focused on factual entertainment. It was a lovely glimpse into a crucial overlap that academics need to figure out - how to make their science entertaining. 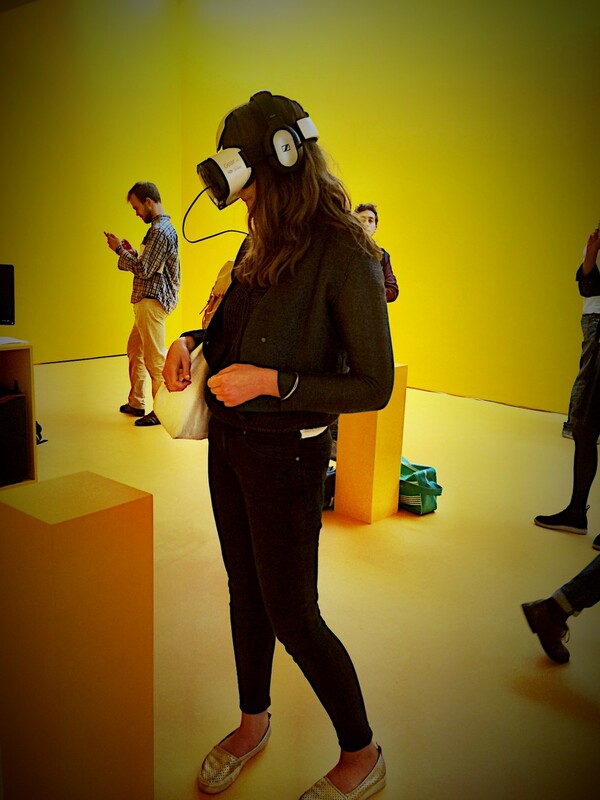 Before 6pm, I also managed to pop in to Site Gallery, which had a VR exhibition, exploring how film can be created for such devices. 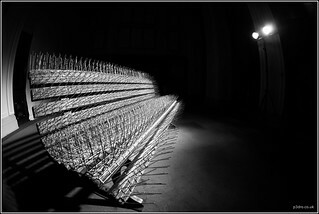 It was a quite eery space, with people wearing headsets standing in silence, moving around slowly. The content within the devices was the best I have seen and the potential of platforms like Oculus Rift are really creating possibilities to realise film in a way that could only be imagined back when VR first took off in the 1980s. I was then able to briefly pop along to a Film Londond drinks reception, before heading over to see 'Spectres of the Shoah', which, stylistically, made me think about how much you can do with a simple interview style documentary, bringing in archival images and footage to re-create a story from years ago. It was simply beautiful and breathtaking and a wonderful experience to hear about. Below is a photo of the director with Nick Fraser, who has been helping to push the film to new audiences. The final event of my night was the amazing story of Greenpeace, in the film 'How to Change the World'. As someone who believes we should all have the capacity to enjoy this aspiration, it was a wonderful way of reconnecting with the possibilities of environmental activism and how central image making is in the process of making change happen. The founding members of Greenpeace, particularly one of its founders Bob Hunter, for me, wonderfully encapsulated what we need to do to make change happen. Bob had the skills of a journalist, the insights of a scientist, and the energy of an activist. Despite Greenpeace's complicated early life, this film is a great starting point for changing the world. Overall, the SheffDocFest was an amazing day - oh yes, I did all this in just one day 12pm-10pm. So grateful to have been there at this time, where film making is becoming a bigger part of my life. Congratulations to the Wellcome Trust for putting themselves into a new space, bringing science to film and film to science. Another big thumbs up for this amazing organization. Last week, we ran a second event with people from arts organizations, talking about Project Daedalus. As for London, we showed them a range of applications, discussed all kinds of issues surrounding drone use, even gave them an overview of Amazon's new delivery drone patent, awarded in just April 2015. Many of the things we played are located in this Project YouTube playlist, which covers some of the things that are informing what we are doing. Over the last few weeks, I have been working with the Manchester Science Festival and Electricity North West to launch a brief for a new artistic commission titled 'Electric Art'. We have just pushed out the copy and here it is. Please share and submit! The MSF is a fantastic context for new and provocative art work and a really great week to be in Manchester! Manchester Science Festival 2015, in Partnership with Electricity North West, and the University of Salford, Manchester. This new £5,000 commission seeks to help realise a visual art work, developed through the theme of ‘electricity’ for exhibition during the Manchester Science Festival (October 22 - November 1, 2015). The final work will create public debate around the role of electricity in our lives and may engage. We are keen to hear from artists working across genres from digital and mixed media to craft and performance. Thematic areas may include attention to the future of electricity, forms of sculptural lighting, smart grid design, laser and alternative fuel sources. We want to hear your ideas at this stage but would anticipate that the final piece will be informed by dialogue with Manchester Science Festival (MSF), University of Salford, and Electricity North West. · Please write a 250-500 word proposal for your idea and include drawings and images where appropriate (PDF format). Include any information you can at this stage about what you need to make it happen (including time, resources and budget). · Include a PDF of images and information to evidence your previous work. · Articulate in which ways the work will stimulate public engagement with the science and technologies of electricity. · The art works will be installed or performed within the Manchester Science Festival programme (location to be confirmed). · Please let us know your anticipated technical and installation requirements. · Projects must have a designated lead who will be the key contact with the Festival team and who will be responsible for submitting a brief evaluation report about the event upon completion. · Please indicate your availability for the panel selection on 15th June. Please send your submissions to msf*at*mosi.org.uk (removing anti-spam measures). Digital Utopias is a one-day conference which will inspire and incite debate about how new technologies are enabling creativity across the arts. The conference aims to capture topical and diverse approaches to curation, archiving, collecting and creating from a range of art forms, from the visual arts to theatre. The event will provide an opportunity to discuss new tools and emergent practice, whilst delegates will connect with international arts organisations and specialists in the field to unpick the creative and critical challenges facing organisations today. Sessions in the main theatre will be compèred by Prof Andy Miah. After the future examines how art is changing in the digital age and how new behaviours and systems are emerging in the creation, exhibition, interpretation and dissemination of art. Through sharing recent and historical examples, the panel will examine the challenges of classifying a growing and chaotic field. Asking questions such as; What are the practical challenges and values, which should inform the future? And how can our media art history inform the sector? Clinic: What to do with your data? Puzzled by Open data, big data and meta data? You are not alone! Led by CEO Gavin Starks and Art Associate Julie Freeman, this Open Data Institute session demonstrates what art organisations can do with their data and the small steps you can make right away. Led by CEO of ODI Gavin Starks and Julie Freeman. Google Creative Lab UK will talk about their chrome web experiments, games and prototypes. This panel will unpick alternative models of “innovation” through examining production models and their cultural value. Interdisciplinary artistic practice can create new platforms, resources and art forms, but what are the benefits to artistic practice and how can cultural appropriation be avoided? Led by Tatiana Bazzichelli (Curator and writer) Memo Akten (Artist), Lynn Scarff (Programme Director of The Science Gallery) and Jose Luis de Vicente (curator and researcher). From sensory performances to projection mapping technologies, we invite The Royal Shakespeare Company’s Sarah Ellis, artists Marshmallow Laser Feast and theatre company Extant to discuss how performance is being enhanced by new technologies and the challenges of live performance in the flesh and online. How do we ensure long-term access to digital information through collecting, archiving and preservation? This session gives hands on tips for museums, curators and collectors on both moving image and social media archiving. 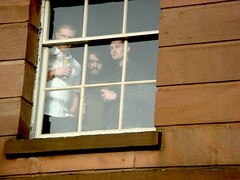 Led by Dragan Espenchied, Rhizome and Luke Collins from Lux, Scotland. Changes in technology have played pivotal roles in literature (from Gutenberg to GoogleDocs) and we invite showcases from writers, publishers and software developers who are looking at everything from generative writing, books as code and alternative distribution models. Led by Jim Hinks, Comma Press and Joanna Ellis from the Writing Platform. The public space is augmented with information, networks, forces, bodies, buildings and technology. How do we define the public space? How do we create work for a time where the distinction between being offline and online is harder distinguish. We hear from a range of organisations, who have opened up new social spaces, data and communities through gaming, networked objects and growing DIY communities. Led by Ruth Catlow (Furtherfield) Prof Jennifer Gabrys (artist), MolMol (Yes Yes No) and Iain Simons (GameCity). Curating Networks showcases projects that rethink ideas of authenticity, ownership and authorship in relation to archives, collections and traditional formats and gallery spaces. Led by Katrina Sluis (Photographers Gallery), and Irini Papadimitriou (V&A) and Hullcraft (Joel Mills and Hannah Rice) University of Hull. Crafting Code explores the role of new materials in art production and how data can be materialised, examining the interchangeable role of artists, engineers and makers. We invite presentations on the ‘algorithmic’ opportunities this expanding field is developing, from design, digital sculpture and science to 3D modelling & wearable technology. Speakers include Karen Gaskill (Crafts Council), Gretchen Andrew and Matthew Plummer-Fernandez. This session will bring together representatives from a selection of recent R&D projects to discuss how to design and manage a process that is playful and serious at the same time. Facilitated by a representative from the Digital R&D Fund, each representative will share their experience, before moving into a panel discussion and workshopping ideas with the audience. Creative technology projects are not just about delivering an end product - managing a R&D process which is creative, useful and rewarding for all parties is where the magic happens. The day will finish with an immersive digital art work. ‘The Measures Taken’ is a collaboration between Marshmallow Laser Feast and Alexander Whitley Dance Company. Both a dialogue, and a duet between human movement and the digital world, this performance promises to be visually striking and kinetically charged. How should we think about our relationship to other species - and their relationship to each other? This is the question we are invited to consider when seeing Marcus Coates' new work 'The Sounds of Others', which premiered at the Manchester Science Festival this week. I took part in a conversation with him and his collaborator Geoff Sample who, ironically, had to sample a bunch of animals in order to help Marcus explore his work. The project essentially involves speeding up and slowing down the sounds of different species which, when done, begin to sound remarkably like each other. This art work was funded by Cape Farewell's new Lovelock Art Commission, which explores James Lovelock's Gaia theory through art. It's a really compelling piece, which is very easily understood upon seeing it and does make one think about our place in the world. I am sure it will tour all over the place, so do try and get to it, if you find it in your neighbourhood! My talk given in September 2013. 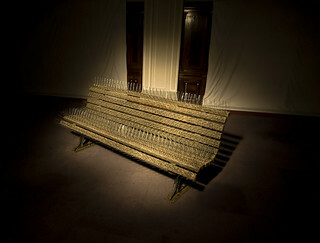 What makes art democratic is its capacity to allow someone to remake it as their own art work. 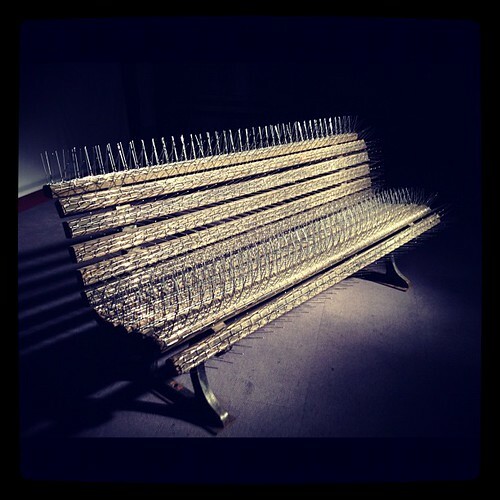 Take this bench for example, part of the Liverpool Biennial 2012. It is beautifully presented with awesome lighting. If you take a good photograph of it, you can come away with something that you feel pride in having experienced and captured. The art of this artist becomes your art, the moment you line up the camera, choose your angle, perhaps even your settings, and ‘click’. It may even become more artful, if you use some creative software to edit the image, or some unique processing technique. [youtube=http://www.youtube.com/watch?v=Hnx3P2V4pRQ] Visited FACT for conclusion of Human Futures Mind section - AL and AL exhibition closing event. Last Friday, I attended the opening of the Pavillion at Edge Hill Station, a new exhibition space in the oldest passenger railway station in the world. my kind of event, why aren't i going!? The interactions of science, art and culture: Scientists and artists as partners in the continuing evolution of the culture. In the tradition of BarCamps, otherwise known as "unconferences", (see BarCamp.org for more information), the program is decided by the participants at the beginning of the meeting, in the opening reception. Presentations and discussion topics can be proposed here or on the opening night. SciBarCamp will require active participation; while not everybody will present or lead a discussion, everybody will be expected to contribute substantially - this will help make it a really creative event. The talks will be informal and interactive; to encourage this, speakers who wish to give PowerPoint presentations will have ten minutes to present, while those without will have twenty minutes. Around half of the time will be dedicated to small group discussions on topics suggested by the participants. The social events and meals will make it easy to meet people from different fields and industries. Our venue, Hart House, is a congenial space with plenty of informal areas to work or talk, and there will be free wireless access throughout. Attendance is free, but there is only space for around 100 people, so please register by sending an email to Jen Dodd (dodd.jen@gmail.com) with your name and contact details. Please include a link to your blog or your organization's webpage that we can display with your name on the participants list at www.SciBarCamp.org. Thanks to our sponsors so far! We're looking for sponsorship for SciBarCamp. If you're interested in sponsoring, please contact Jen Dodd (dodd.jen@gmail.com, +1 (519) 572 2275). 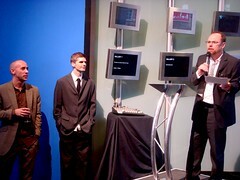 Last night was the launch of the Human Futures exhibit SK-interfaces at FACT. It was really extraordinary and nice to see some friends come over for the event. The highlight was the performance of http://www.yannmarussich.ch 'Blue Remix'. Photos are in my Flickr photoset. this image is of his assistant and I was moved by the care and attention this man gave to the whole process. Made me wish i could take better photographs. The Department of Drama's Performance Research Forum and the Digital Studios' (Department of Computing) Thursday Club are delighted to co-host this special event, aTALK by one of the most original and provocative woman artists working today in what she calls CARNAL ART. All welcome. Entrance free. Latecomers will not be admitted. New exhibition and conference starting the FACT programme. Looks good! "Designer hymens, a composite coat made of blended skin cultures by legendary French artist ORLAN, a brain infused with glowing moss and non-animal ‘leather’ growing in the galleries, FACT (Foundation for Art and Creative Technology) presents a ground-breaking UK exhibition exploring the idea of skin as a place where art, science, philosophy and social culture meet. sk-interfaces opens 01 February until 31 March 2008. Curated by Jens Hauser, sk-interfaces launches FACT’s Human Futures programme in Liverpool’s year as European Capital of Culture and as an interdisciplinary exhibition will feature works from 15 international artists, including 2007’s Golden Nica winners at Ars Electronica. “What used to be understood as a surface that represents the limit of the self and between the inside and the outside can today be seen as an unstable border. sk-interfaces is ideally placed within the cultural programme of Liverpool 08: Artists are exploring trans-species relationships, xenotransplantation, satellite bodies, endogene design, telepresence, permeable architecture and the ever pushed limits of art itself,” says curator Jens Hauser. Formerly known for her surgery-performances in which she refigured her face and created new images referring to non-Western cultures, ORLAN presents her new work Harlequin Coat, a patchwork life-size mantle, which contains fusing in vitro skin cells from various cultures and species. This prototype of a biotechnological coat is made to symbolise cultural cross breeding. The Tissue Culture and Art Project’s Victimless Leather investigates the possibility of producing ‘leather’ without killing an animal. Three miniature stitch-less garments are tissue-cultured live in the gallery. Artists Oron Catts and Ionat Zurr are behind the award-winning lab project SymbioticA (Golden Nica in Hybrid Art 2007 Prix Ars Electronica), the Australian–based research facility dedicated to artistic enquiry. French duo Art Orienté objet has created biopsied, cultured, hybridized and tattooed skin made from their own epidermis and pig derma to create living biotechnological self-portraits. Marion Laval-Jeantet and Benoît Mangin’s work is intended to be grafted onto collectors themselves so they can physically wear and absorb an artists’ piece. American artist Julia Reodica’s hymNext Designer Hymen Series confronts the values of purity and gender roles using the artist’s own vaginal tissue and animal muscle cells to create designer hymens. The sculptures pose as products to be marketed and are intended as objects of novelty for ‘re-virginisation’ thus addressing the issue of how different cultures value female virginity and the associated pressures. Zbigniew Oksiuta from Poland will come to Liverpool to create a new version of his project Breeding Spaces in which a large 3D sphere of gelatin is grown in situ. The artist proposes the possibilities of designing biological spatial structures that can serve as a new kind of habitat and presents a new form of spatial coexistence between man and nature. sk-interfaces will also feature further commissioned and existing projects from international artists such as Eduardo Kac, Jun Takita, Wim Delvoye, Olivier Goulet, Zane Berzina and Neal White among others. Mike Stubbs, Director and CEO of FACT says, “FACT opens its 08 programme committed to pushing at the boundaries of how and what creative technologies and art can be. Touching on some of the biggest issues of our day FACT invites debate and conversation around life sciences and our changing relationships with our bodies and technology"."